Cal Mil's 3 Gallon Glacier Infusion Dispenser can be filled with lemons, strawberries, cucumbers, or any other fruits to create specialty drinks for your guests. 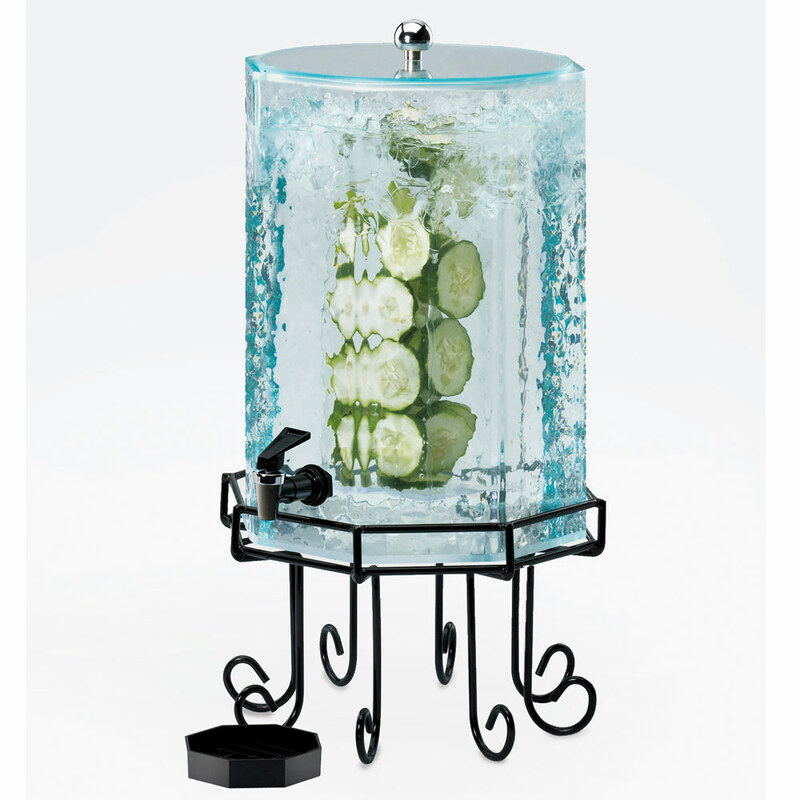 The dispenser's infusion chamber combines fresh produce into your favorite beverages. Cal-Mil's 3 Gallon Glacier Infusion Dispenser measures 11" x 11" x 22", it has a 3 gallon capacity. You can use model 932-3INF in commercial and residential settings. It works well in both. Cal-Mil built the dispenser out of faux glass with a blue tent. Any beverage looks great in this dispenser. The dispenser has a black wire frame that amplifies model 932-3INF's appearance. It's easy to maintain the 3 Gallon Glacier Infusion Dispenser, it comes with a drip tray for easy cleaning. Additionally, most of the dispenser's parts are removable for easy cleaning storage, and transportation. You cannot go wrong with Cal-Mil's 3 Gallon Glacier Infusion Dispenser. Cal-Mil's 3 Gallon Glacier Infusion Dispenser is strongly recommend in the Food Industry. It's a great dispenser for countless settings. Add model 932-3INF to your home, business, or event.